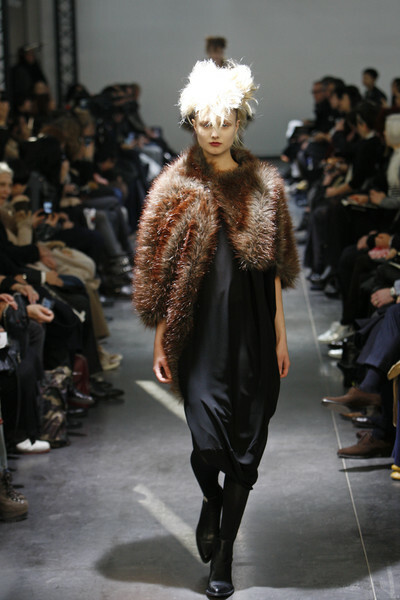 Junya Watanabe presented an elegant, sober and tough-chic collection focused at silhouette, leathers and fabric. At a haunting soundtrack and accompanying reading of Arthur Rimbaud’s ‘Ophelia’ this collection became more than a biker-tour. The leather proofed to be the perfect material for an exercise in construction and couture shapes, some sets reminded of .Dior New Look 1947 or boxy Balenciaga-esque styles. It made an mix of soft-meets-hard. 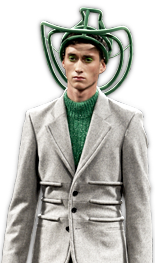 From the front, many of the looks came completely structured and molded, while from behind, they were cut loose. After the rigid black leather, paired with stiff pleated schoolgirl-skirts, Watanabe introduced knits and easy LBD’s in generous and sometimes slouchy silhouettes. 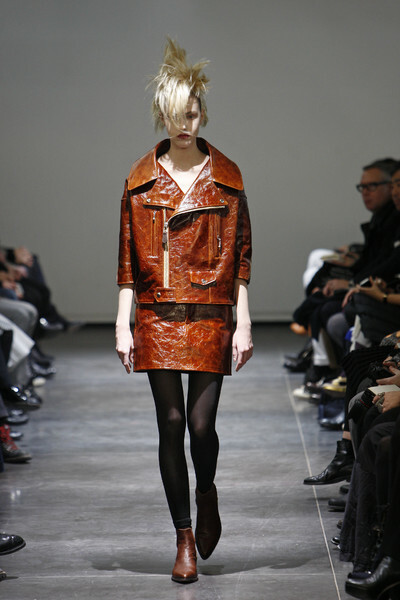 Even the leathers were treated as fabric in wrap dresses.